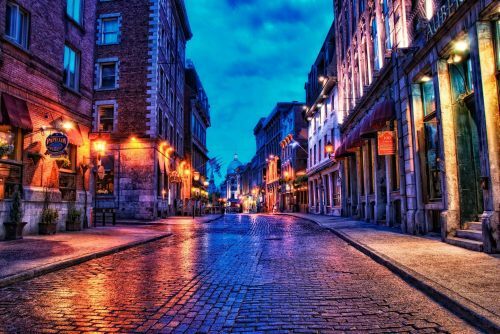 Air Transat has dropped the price on a large variety of their Toronto to Montreal flights down to $174 CAD roundtrip including taxes, which is about 45% below the typical bottom price on this route. As you probably know, true flight deals on routes within Canada are a rare find. 2. Search for a flight from Toronto to Montreal. Use dates between November 2015 and March 2016. After you make your initial search, click on the 'Flexible Dates' tab - which will make it easier to browse other dates. Look for the flights that are $88 CAD (including taxes) each way. Christmas dates are not available at this price (as always) but are priced at $220 CAD roundtrip, which is still pretty decent. Depending on who you book through, there are now some date combinations showing up for $155 to $165 CAD roundtrip including taxes. Try a flexible date search on Kayak (example links below), and then click through to Air Transat's website directly, or Expedia.ca, or CheapOair, or FlightHub - who all appear to be offering prices in this range. Where to stay in Montreal? The following AirBNB link will lead you to some great deals on places to stay in Montreal for under $70 CAD/night for 2 people. toronto, yyz, flight deals, air transat, canada, north america, montreal, quebec and yul.